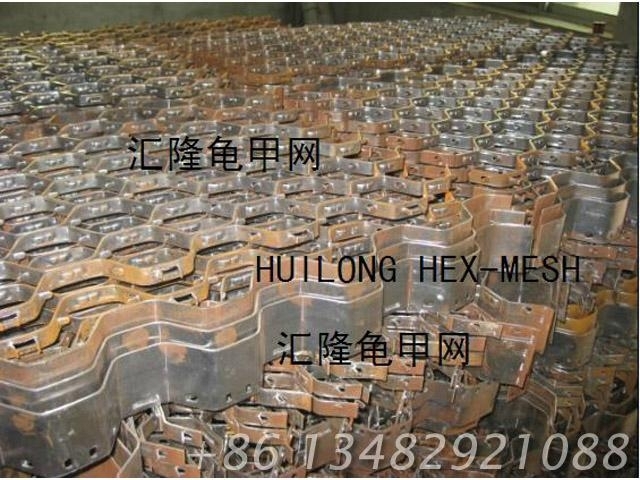 Such type hexmesh, every 6th bar is 1” (25 mm) deep and the intermediate bars are 3/4” (19 mm) deep. Shell type is also available with every 4th, 3rd or 2nd bar 1” (25 mm) deep. The shell type hexmesh are available upon request.